Recently I attended our Carolinas section Teaching Summit at Myrtle Beach. 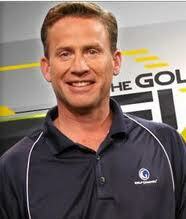 Our feature spreaker was Michael Breed. 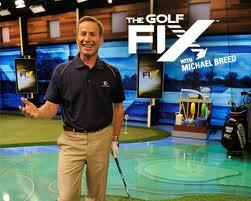 You might have seen him of the Golf Channels “golf fix”. You know….”The let’s do this” guy. I was interested to see him because you never know how people are in real life as opposed to a television show. I have to tell you that I was presently surprised at some of the things that he shared in his talk. I am always resectful to the guys that are up on stage because I would love to be that guy someday sharing information to other professionals and giving back to the section. So as long as I am in the audience, I try to approach with an opn mind for learning. There are different ways that teachers can do a presentation (teaching theory or motivational). Michael was definitley leaning towards the motivational side of things. So here is how it went. Be thankful when a student comes out for a lesson because”they chose you” and we shouldn’t take that for granted. He said he tries to communicate to his students and on the tv show on a “3rd grade level”. Made me think of a statement that I heard Martin Hall make which is : Understand it like Homer (Kelly) but communicate it like Harvey (Penick). He said “If you credit other people for your information, you appear smarter. Great point as information is passed down from coach to coach, be sure to tell them where you got it. Be a Socratic Teacher: definition of “the Socratic Method of Teaching : His most important contribution to Western thought is his dialogical method of enquiry, known as the Socratic method or method of elenchos, which he largely applied to the examination of key moral concepts and was first described by Plato in the Socratic Dialogues. For this, Socrates is customarily regarded as the father and fountainhead for ethics or moral philosophy, and of philosophy in general. The Socratic method is a negative method of hypotheses elimination, in that better hypotheses are found by steadily identifying and eliminating those which lead to contradictions. The method of Socrates is a search for the underlying hypotheses, assumptions, or axioms, which may unconsciously shape one’s opinion, and to make them the subject of scrutiny, to determine their consistency with other beliefs. The basic form is a series of questions formulated as tests of logic and fact intended to help a person or group discover their beliefs about some topic, exploring the definitions or logoi (singular logos), seeking to characterise the general characteristics shared by various particular instances. To the extent to which this method is designed to bring out definitions implicit in the interlocutors’ beliefs, or to help them further their understanding, it was called the method of maieutics. Aristotle attributed to Socrates the discovery of the method of definition and induction, which he regarded as the essence of the scientific method. Oddly, however, Aristotle also claimed that this method is not suitable for ethics. The teacher’s questions must expose errors in the students’ reasoning or beliefs. That is, the teacher must reason more quickly and correctly than the student, and discover errors in the students’ reasoning, and then formulate a question which the students cannot answer except by a correct reasoning process. To perform this service, the teacher must be very quick-thinking about the classic errors in reasoning. ****I think all great teachers are a form of this. Ask better questions and get better answers. 2. If Don’t / Then Don’t – very simple strategy that I teach as well. If you find yourself thinking ” don’t do something”, then don’t hit the shot. start your routine over. 3. What you tell yourself doesn’t have to be true, As long as you believe it. (anyone think of Seinfeld here?). ex. I am the greatest athlete in the world. 5. Watch your language: Do not say if, only say when! I didn’t realize that his teaching specialty was putting. He considers himself a putting teacher and the tour players that he has worked with come to him for putting info. Likes the old school putting books by Horton Smith (which I own and highly recommend), Willy Park, Bobby Lock. Horton Smith was the first one to discuss hooding or delofting the putter. We know this as a forward press. Michael did a series of tests with different lofted putters and measured the distance. The less loft, the greater the distance the ball rolled because of the contact point on the ball. The more forward the shaft leans, the higher the contact point and better the roll. He recommends 3 degrees of forward shaft lean at impact. He likes the shoulders slightly open to help see the line and the eyes just inside the ball. He doesn’t believe in an arc or plane in putting either. So to conclude, he shared his story of how he got to be where he was. 15 years ago he visited the local newspaper and they let him start to write some golf tips. He then visited a local radio show and offered to do some radio and they gave him a show. In the process he talked a local TV station into letting him do a golf tip on the news. He realized that he was pretty good on tv and he put together a pilot video for show. He submitted it to the Golf Channel 8 years ago and they said no. A few years passed and the Golf Channel gets bought out and wants to create new programming. They find his tape and say, this is our guy. They want to do the show on Tuesdays but he couldn’t do it because he had to do his job at the club. His owners were looking to cut his budget by 25%. He goes to the owners and says, I will cut my salary 25% if you will give me Tuesdays off. They thought he was the greatest. The rest is history. So if you think that he is an overnight success, you are wrong. He just got after it and made things happen. That is what I admire about him the most. Thats why he is up on stage and I was in the audience. I enjoyed the presentation and I hope you enjoy this recap. Amazing! I didn’t get very far before I copied and pasted the text of the Chuck Swindoll quote to my facebook page in 3 parts, then I cam back to read the rest. Well, without “consciously” knowing it…..haha I’m a Socratic Teacher as well. I kind of teach like Jeopardy. I have 2 degrees of forward shaft lean….I won’t hold 1 degree against him. I look forward to touching base with him in Toronto. I look forward to seeing you on tv soon. This has sparked a couple of thoughts about practice. 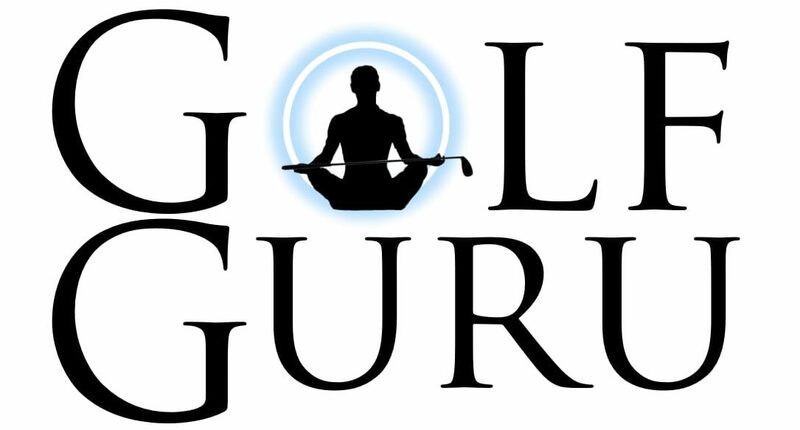 How about a couple of videos on how to apply Deep Practice in golf…… Come on now….. Lets do this!! Very enlightening piece – thanks for sharing. Wow. Felt like I was there. What a grey recap and certainly some surprises as well. Never would have guessed he was a putting teacher. Keep marching down the path.